It's been awhile since a last read an Alessandra Torre-penned story, and it looks like I chose just the right time to re-acquaint myself with her writing. 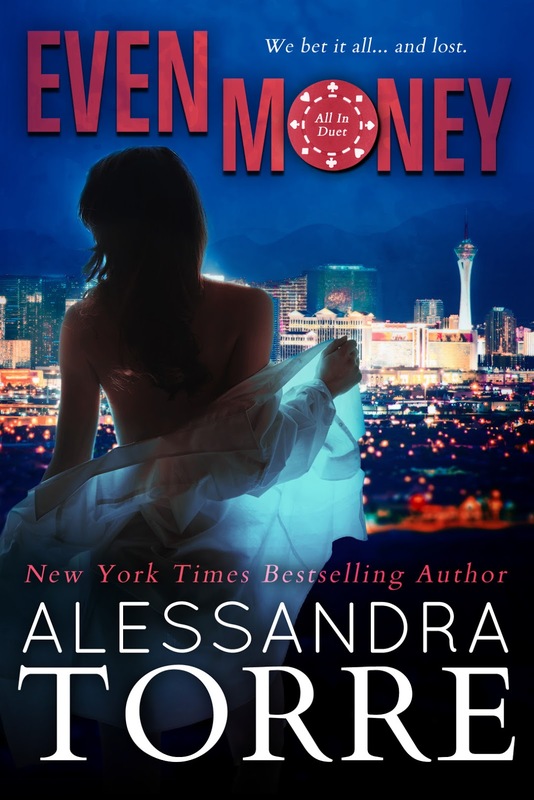 Even Money is the first in Torre's new All In duet, and it's aptly set in Sin City, aka Las Vegas. Twenty-three cocktail waitress and college student Bell Hartley is pretty much loving life. She has a great job at The House with bosses and co-workers who have become her friends, a good set of roommates who know how to good time, and a hot professor she's been hooking up with. But all it takes is one minute—a minute of interacting with Dario Caprese—for her world to begin to shift. He's the King of Vegas, a man whose reputation was earned. He's both feared and respected. He also happens to be one hell of a handsome and enigmatic man...one who was very much married. Bell knows he's a temptation she must resist, but it’s too late for her to back away. She swore she’d never fall in love, but loving Dario is inevitable. The question is, will it be worth the deception and death that comes their way? At the end, who'll be left standing? Learn more about Alessandra Torre. 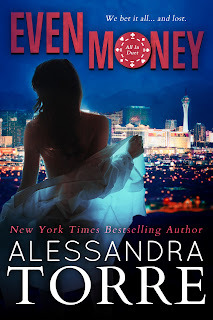 Purchase Even Money on Amazon | B&N | iBooks | Kobo.